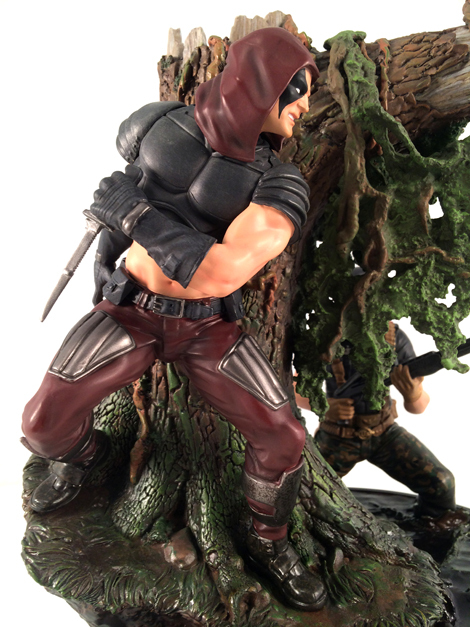 It's a showdown in the swamp as Flint searches for Zartan! 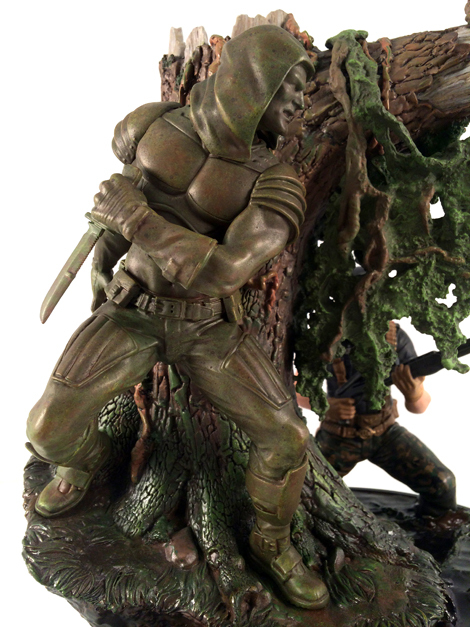 According to Sideshow, "This detailed sculpture captures the ongoing game of cat and mouse between the Joe team and the Cobra mercenary Zartan. 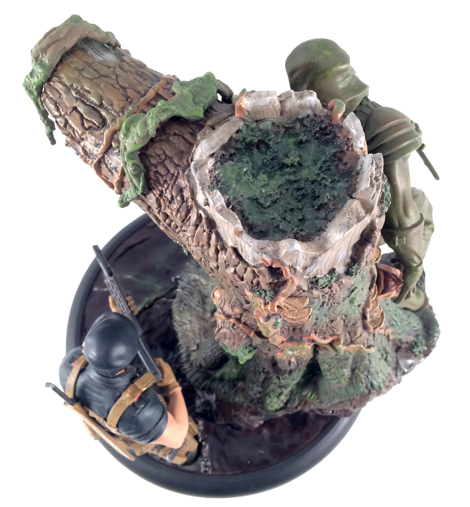 Complete with a removable moss detail for a customizable display, each piece is individually painted and finished, each with its own unique quality and detail that is the trademark of a handcrafted Sideshow Collectibles product. 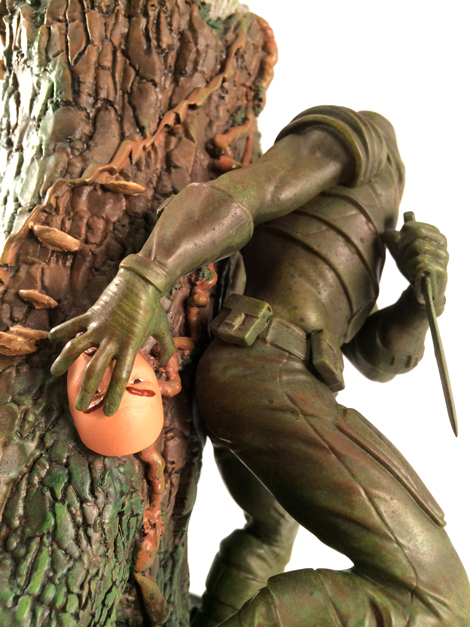 The Flint VS Zartan Diorama is an outstanding addition to any display, a perfect centerpiece to any G.I. Joe collection." They aren't kidding. It is amazing. 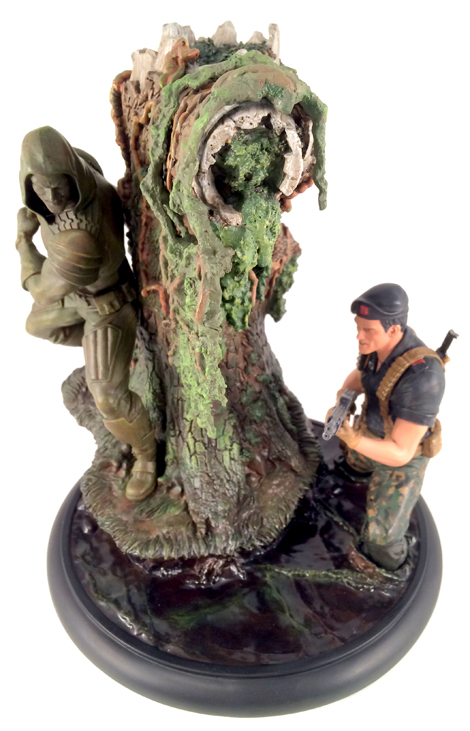 The Flint VS Zartan exclusive features an additional switch-out Zartan figure with tree camoflauge for alternate display. 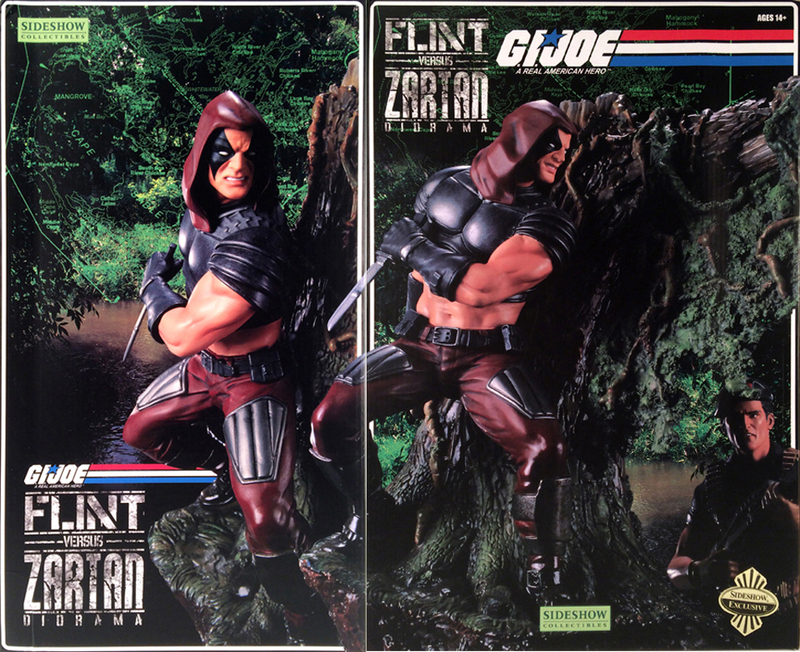 Shown with the standard equipment on the left and with the Sideshow Exclusive switch-out camouflage Zartan figure on the right. 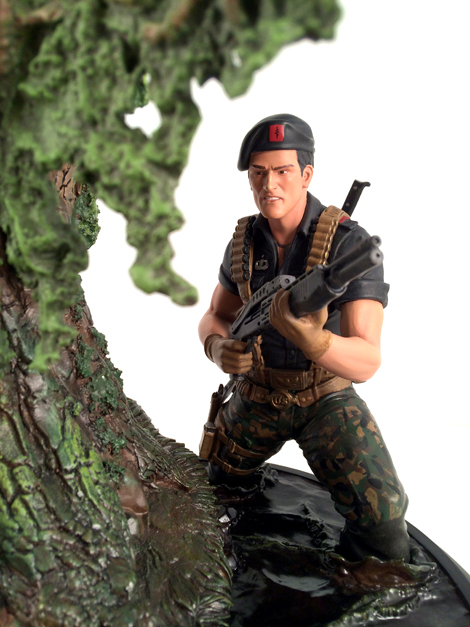 Flint is armed with his trademark shotgun and pistol. He left his backpack back in the VAMP in favor of a swamp chopping machete. The set is also incredibly detailed. 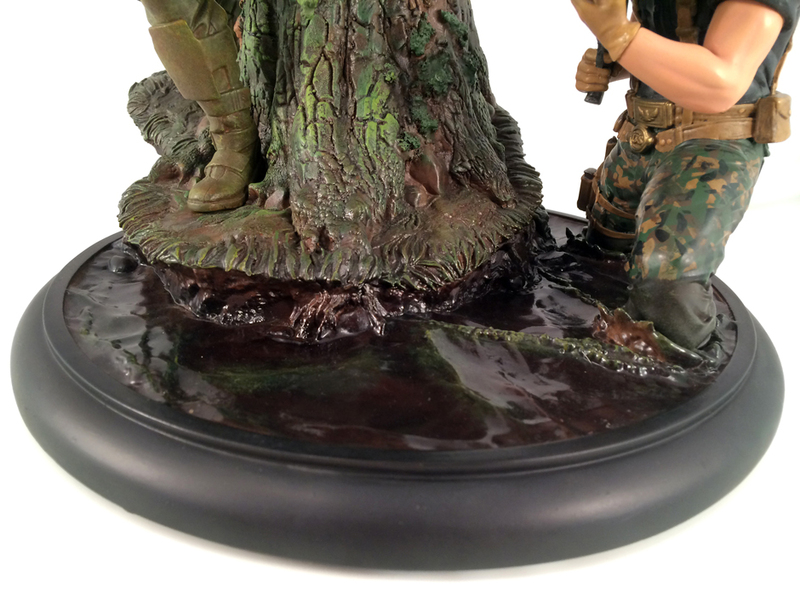 To the right you see the removable moss detail. This sheet of greenery can be lifted off. The swamp water looks real. 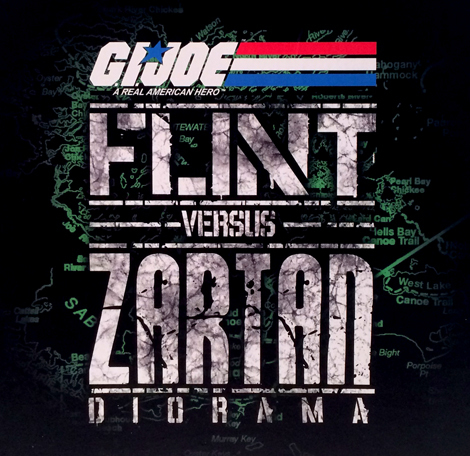 You can feel it moving as Flint advances. They've even painted his pants so they look wet below the knee. 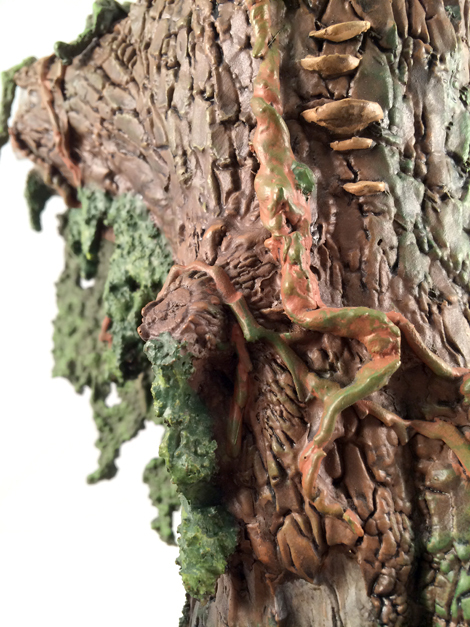 The tree itself is alive, playing host to moss, mushrooms and other swamp life. 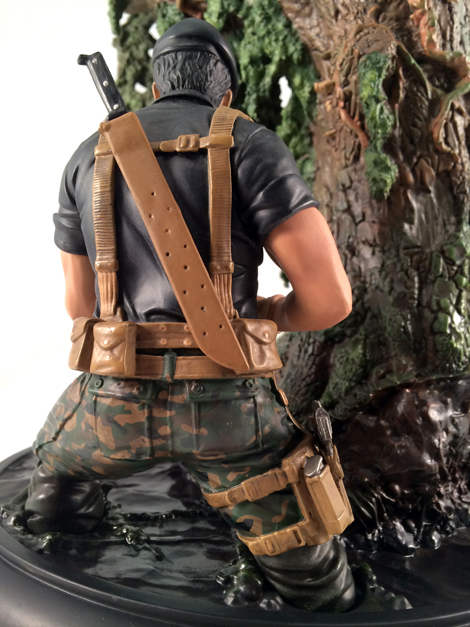 Once again, Sideshow Collectibles has blown me away. Their products are not cheap, but they are worth every penny. 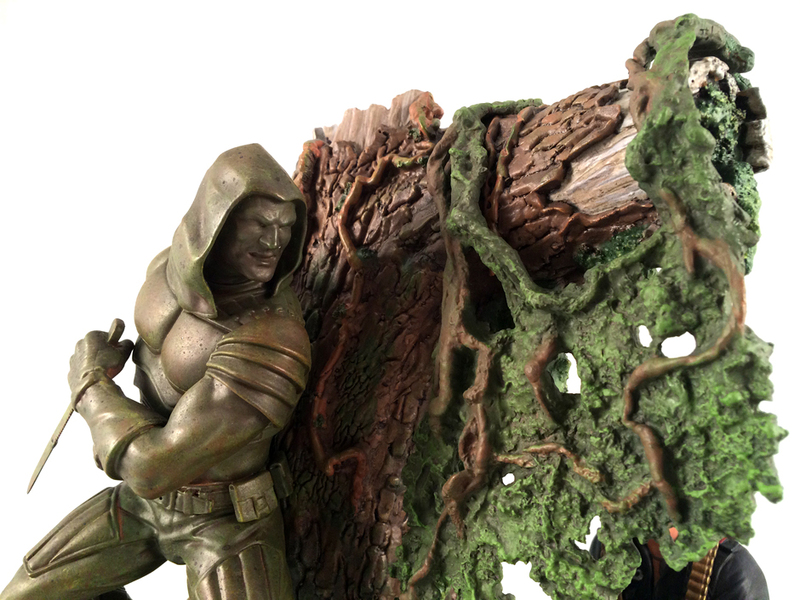 If you can afford it, I wholeheartedly recommend picking up one of these statues before they are all gone. 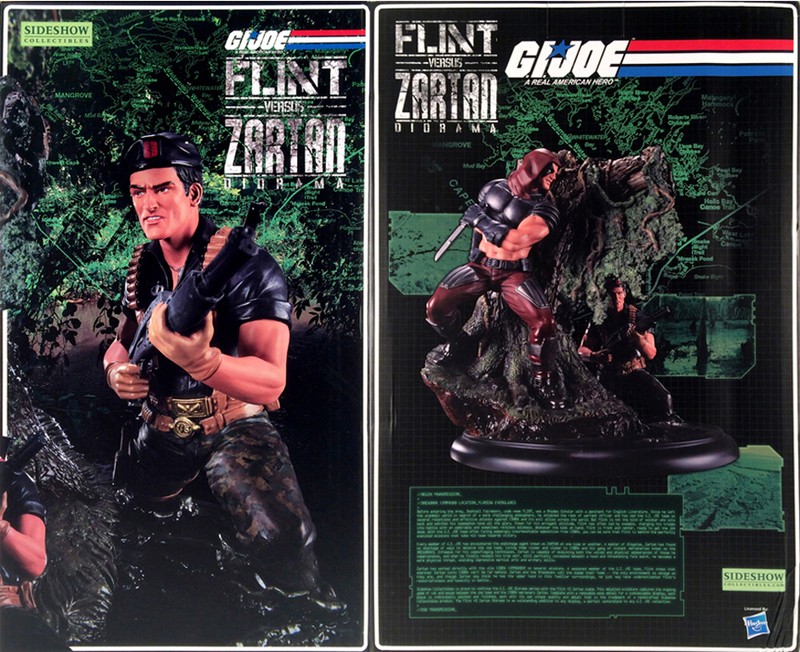 They were limited to only 250 pieces, and I am amazed they are still available. Here's where to buy your own.